A good quality mattress is one of the most important purchases you’ll ever make. It’s a product that you’ll use every day and that you’ll rely on for restful, restorative sleep for the next 8-10 years. Even so, that doesn’t mean you have to part with a small fortune to get the kind of comfort, support, and durability you want from a mattress. Bargains do exist—and can be yours when you use these expert buying tips. Don’t believe the hype: Most of the “features” manufacturers tout, such as coil count, thread count, or elegant material weaves are nothing more than marketing hype that have little impact on mattress performance or longevity. Name brands aren’t necessarily the best for you: Mattress comfort is entirely subjective and independent of the name on the label, so don’t just shop the brands you already know. You might be surprised at how uncomfortable a $2,000 mattress can be or how amazing a $200 mattress can feel. Look online for rock bottom prices: Much like cars, the mattresses in a retail showroom are heavily marked up in order to allow customers to haggle with the salesperson and feel good about receiving a discount. 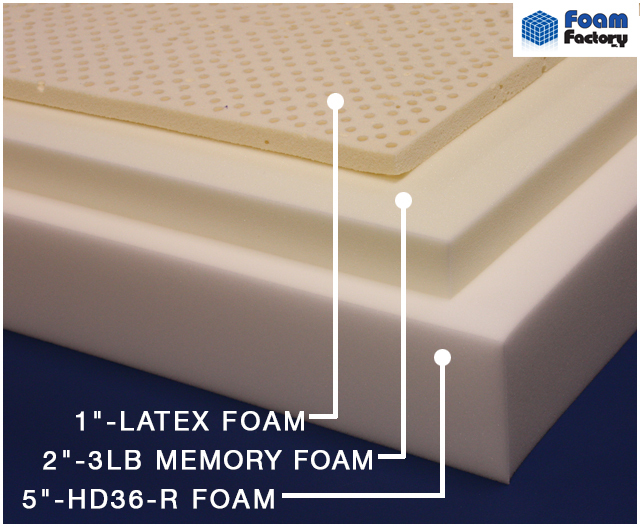 But there’s no getting around the fact that the absolute best deals on poly foam, memory foam, and latex mattresses and mattress toppers in standard sizes are to be found online at sites like The Foam Factory, especially when you factor in free shipping on all orders over $75. Never get a used mattress: If you’re tempted to pick up a cheap used mattress from Craigslist or a local Freecycle group, we have one word of advice: don’t. You could end up bringing bedbugs—or worse—into your home, which will cost you a lot more in the long run. The bottom line is that a few hundred dollars is all it takes to get an excellent mattress that feels comfortable to you and that will last for many years to come. 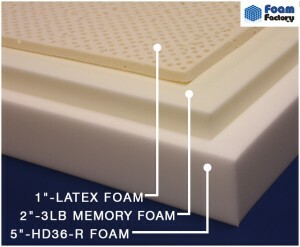 Visit TheFoamFactory.com to browse all the different foam, memory foam, and latex mattresses and toppers we have in stock and order yours today.